Siddaramaiah asked his Haryana counterpart Manohar Lal Khattar to take "stringent action" against those threatening actress Deepika Padukone who is being targeted by fringe groups. 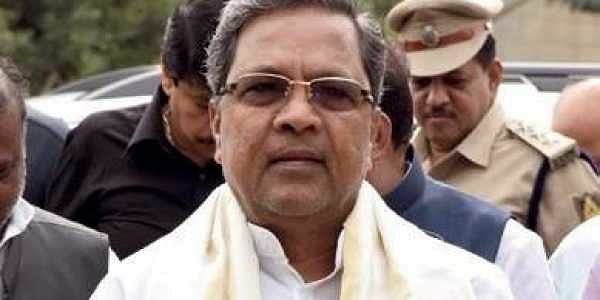 BENGALURU: Karnataka Chief Minister Siddaramaiah today asked his Haryana counterpart Manohar Lal Khattar to take "stringent action" against those threatening actress Deepika Padukone who is being targeted by fringe groups for her lead role in "Padmavati". Coming out in support of the actress, the state government said security would be provided to the actress whenever she is in Bengaluru and her family, who hail from Karnataka, in the wake of threats issued to her by several outfits which allege the period film distorted history and hurt sentiments of their community. Deepika is the daughter of badminton icon Prakash Padukone, who lives in Bengaluru. Other crew members, including director Sanjay Leela Bhansali and Deepika's co-star Ranveer Singh, are also facing threats by fringe outfits who claim the film wrongly portrayed the legendary 13th century queen of Chittor Padmavati who is revered by them. "Padmavati" stars Deepika Padukone in the titular role. Shahid Kapoor essays the role of Maharawal Ratan Singh and Ranveer Singh plays Alauddin Khilji. Siddaramaiah's reaction came following a reported threat by the Haryana BJP media cell in charge, Suraj Pal Amu announcing a bounty of Rs 10 crore on the actress. I condemn the culture of intolerance & hate perpetuated by @BJP4India . Karnataka stands with @deepikapadukone .She is a globally renowned artist from our state. He demanded that the BJP apologise and make sure that intimidation doesn't happen. The minister appealed to all Indians, especially women and artistes, to speak for upholding freedom granted by the Constitution. Karnataka Home minister Ramalinga Reddy told PTI the state will provide security to the actress and her family in the wake of the threats. "Whenever Deepika is here in Karnataka, we will ensure that she gets adequate security. We will also provide security cover to her family staying here," Reddy said. The makers of 'Padmavati' have denied the charge that it distorts history and deferred its release from the slated December 1. They have said the film was a cinematic masterpiece capturing "Rajput valour, dignity and tradition in all its glory."